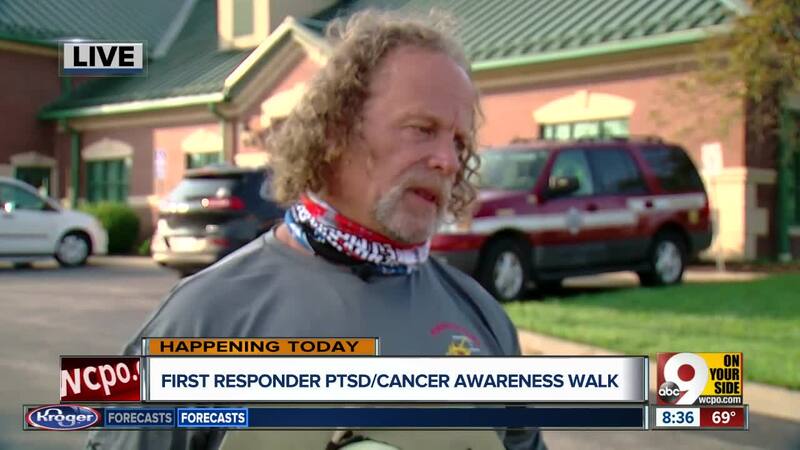 BURLINGTON, Ky. -- A group of first responders, their families and other supporters began a six-day walk Sunday to raise awareness of cancer and PTSD among firefighters. PTSD and cancer are "quietly eating into this industry," Burlington Fire Chief Jeff Barlow said. Cancer is the leading cause of firefighter death in the U.S., according to the International Association of Firefighters. And more police officers and firefighters died by suicide than in the line of duty in 2017, according to a recent study by the Ruderman Family Foundation. 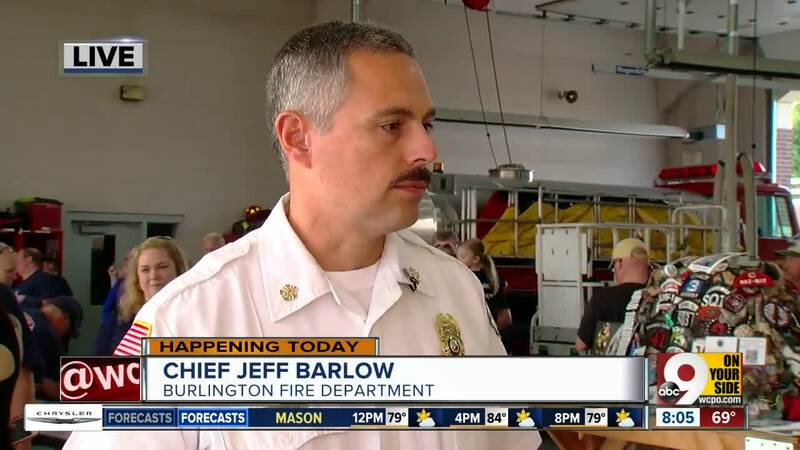 "All too often, we think of fire apparatus and ambulances and police cars screaming up and down the streets with lights and sirens, and it's easy to forget that the events that go on are more than just that initial response," Barlow said. "The responders are carrying around the images and decisions that are made for days and weeks and months." These are personal issues for Noell Saunders. Her husband, a firefighter, died from cancer. 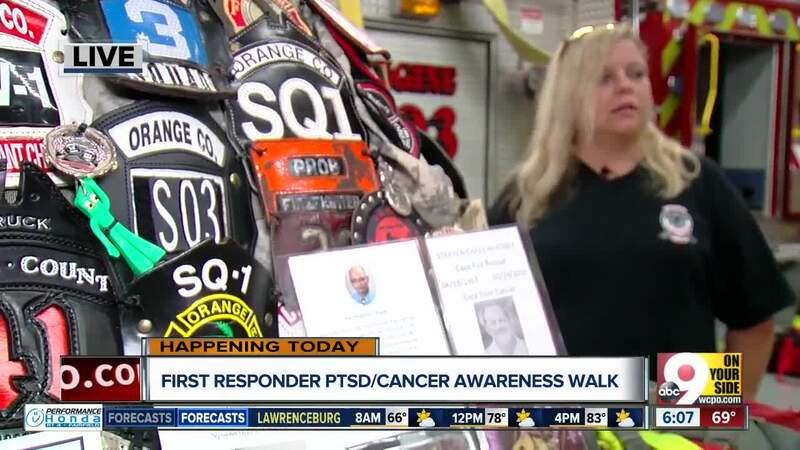 She organized the walk and said she's hoping increased awareness of these issues will lead to new legislation to help support first responders. "I made a promise, and I promised that I would never stop talking about firefighter cancer," she said. "And now it's leading over into PTSD issues. It means a lot to me." The group will walk to a fire station in Walton Sunday. From there, they will visit other fire stations in Williamstown, Corinth, Scott County and Lexington.